Business consultants can fill numerous roles in your business. In some cases, you may hire a consultant temporarily to help you with tax preparation, business plan preparation or for other specialized purposes where it may not make sense to have someone on staff full-time. But there are numerous benefits to business consultants and this is why we feel you should be aware of the reasons to consider a business consultant. Sharing expertise – a business consultant can share their expertise with your company. 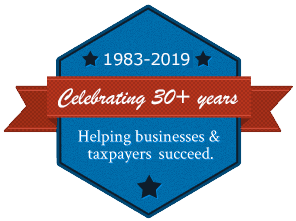 Whether you hire a consultant once a year to handle your tax work or you need a consultant for a long-term project, you can benefit from the expertise they bring to the table. Cost savings – let’s face it, having a full-time staff member is an expensive proposition. When you need additional team members for focused projects it’s less expensive to hire an independent consultant than it is to hire a full-time staff member. This is good news for your bottom line. New perspective – when we start a new business, we are often too close to the business to be objective about the company. When it’s time to set new goals, seek financing options or increase or decrease staff members, having someone from outside the company can give you a new perspective. Sometimes having an outside opinion can help you look at problems and challenges from a different angle allowing you to make better decisions. Create free time – as a business owner, your time means money. If you’re like most small business owners, you’re probably trying to do a number of tasks from managing staff to handling marketing. A business consultant can create additional free time for you by taking over the financial aspects of your operation or serve as a management consultant. This means you get to grow your business as a more rapid pace because you have the time to pursue new contracts and still have a capable manager to deal with other day-to-day decisions. Extra manpower – sometimes it just isn’t practical to increase your staff until you’ve been able to ramp up sales. However, having an extra hand on board can be helpful to deal with changes in your company. For example, having a business consultant who understands your overall business model could mean you have someone who can help you craft financing proposals, help with business plan modeling to help reset company goals and even help with onboarding of additional team members. Consultants can fill a number of business roles depending on the needs of your company. At Rue and Associates, we understand the value of hiring business consultants for short periods of time to meet specific needs. We have been providing business consultant services to clients in Richmond, Henrico, Hanover and all of Central Virginia. We bring a unique set of skills to the table helping you make better decisions because we help you look at business decisions from all angles. Contact Rue and Associates today and let us help.